There are many subsidy, Grant and funding options available to assist you to cover the cost of your Occupational Therapy Driving Assessment. Please contact our staff who can provide more detail on specific options for your individual circumstances. Disability Equipment Grant (DEG) Funding may be provided from Lotterywest towards the cost of the Occupational Therapy Driving Assessment (the person will be required to contribute a minimum $100 towards the assessment costs). Eligibility is based on annual income (i.e. means tested – with an individual income of up to $50,000 p.a. OR household income of up to $80,000 p.a. assessed for eligibility). If vehicle modifications are required, further funding may be available towards the vehicle modifications and driving lessons. If eligible, please complete a 'DOTS' referral form and indicate DEG funding. A funding request will be submitted on the person’s behalf. JobAccess Employment Assistance Fund – Funding may be provided for the Occupational Therapy Driving Assessment, any vehicle modifications required and further driving lessons. Eligibility is determined by need for vehicle modifications and requirements of work duties (i.e. driving is a requirement of work duties). If eligible, please complete a 'DOTS' referral form and indicate JobAccess funding. A funding request will be submitted on the person's behalf. Private Health Insurance Rebates are available through Medibank Private, HBF and other Private Health Insurance companies if you have ancilliary cover for Occupational Therapy. Please contact your insurance provider to check the actual rebate for this service. DVA Gold / White Card Some Veterans may be entitled to this assessment through DVA depending on their accepted disabilities and dependent on prior approval from DVA. We also offer a 10% discount for DVA Gold and White Card holders who are not eligible for any of the above rebates. We are also registered providers for the Insurance Commission of Western Australia (ICWA) and other ﻿Worker's Compensation﻿ claims. Please contact our staff to discuss your specific situation to help determine the most appropriate rebate for you. Referrals are preferred. Please ask your Health Professional to complete the referral form (see below attached link). 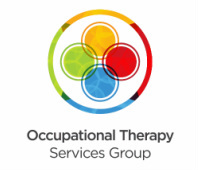 Driving Occupational Therapy Services is a registered provider of the above rebates. NO COST applies for eligible Work Cover, DVA & Insurance Commission clients. Cost will vary on depending on type of assessment, reporting and travel requirements, the driving instructor and can range between $350-$450 (before subsidy & not including driving instructor fees). Please contact us today to discuss your specific requirements.